The series, which stars Tom Burke, Santiago Cabrera, Howard Charles, and Luke Pasqualino as the Alexandre Dumas characters, is ending after its upcoming third season. It’s a new world. A seething, rebellious Paris, at odds with itself, is our backdrop now. What the Musketeers have seen in the war has changed them and what they come home to (the thing they’ve been supposedly fighting for) unsettles and disturbs them. No chance for Season 4 I’m afraid. 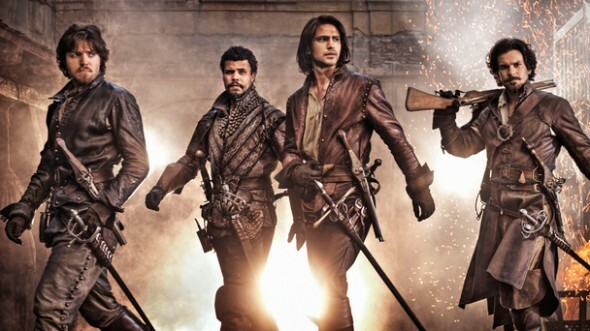 The third and final season of The Musketeers is expected to air this summer on the BBC. What do you think? Are you a fan of The Musketeers? Are you sad it’s ending? What do you hope happens in the final season? More about: BBC TV shows: canceled or renewed?, The Musketeers, The Musketeers: canceled or renewed?